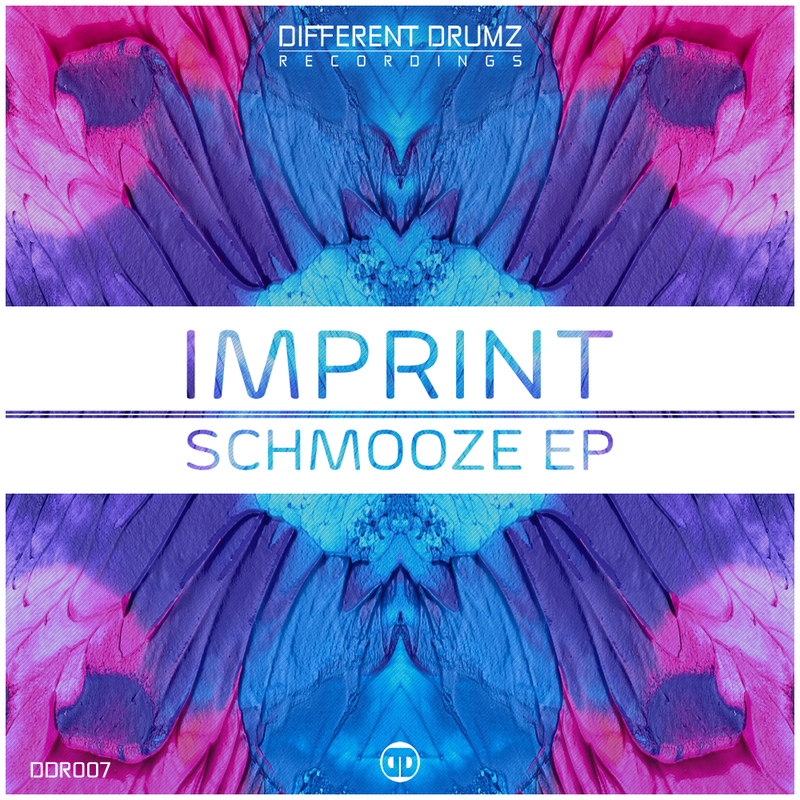 The next injection of audio delights from Different Drumz Recordings sees the introduction of yet another talented artist to the family in the form of ‘Imprint‘ with a solid 4 track EP that is sure to grab the attention of any fan of deep and charactered dnb. Known for his previous releases on top labels such as Halogen Music, Plush Recordings, Soul Deep & Atmomatix, as well as his collaborations with Colossus & Altered Perception this release is not going to disappoint.. We are proud to present his latest offering to the scene , the ‘Schmooze EP‘! The title track ‘Schmooze‘ eases you in with lovely warm pads, reverse crashes and cheeky vocal elements before the introduction of a clean and solid drum break to set the tone. The track then leads you to the drop and takes you even deeper with a floor shaking bass and some subtle brass elements conjuring images of a tipsy late night talk appropriate to the tracks title. The second track ‘Textures‘ is a beautiful little liquid roller, beginning with a solid break, smooth piano and jazz elements to draw you in before warming your soul with a deep reese bass and rich piano, punctuated by vocal pops and jazzy brass hooks. This is a great track for all those who love their liquid deep and rolling! The third slice of this tasty little dnb delight enigmatically titled ‘US‘ opens with a bright but minimal feel boasting beautiful pianos and driving rimshot snare from the offset, followed by deep and heartfelt vocal hooks. The track then takes full form and drops with the addition of strong sub driven bass featuring sneaky grizzles and evolves with some classy double bass notes to further vary the low end. A track that keeps the listener guessing, sure to compliment a range of styles with it’s clever mixture of dark, liquid and broken elements. Imprint ties up the EP with the final track ‘Harmonics’ featuring beautiful harmonies from the talented female vocalist ‘Becka Ward’. This track is riddled with spine tingling piano phrases to accompany the smooth vocals, further featuring elements of oldschool sounding synth FX and ethereal lo-fi dialogue to really add some intrigue. Another solid track from Imprint to round up his lovely & undeniably diverse debut EP on Different Drumz Recordings. This is definitely one for your basket . . .